In 2016, Germany recorded the highest trade surplus in the world worth $310 billion, making it the biggest capital exporter globally. Germany is the third largest exporter in the world with 1.21 trillion euros ($1.27 trillion) in goods and services exported in 2016. The service sector contributes around 70% of the total GDP, industry 29.1%, and agriculture 0.9%. Exports account for 41% of national output. [needs update]  The top 10 exports of Germany are vehicles, machinery, chemical goods, electronic products, electrical equipment, pharmaceuticals, transport equipment, basic metals, food products, and rubber and plastics. The economy of Germany is the largest manufacturing economy in Europe and it is less likely to be affected by the financial downturn  and conduct applied research with practical industrial value and sees itself as a bridge between the latest university insights and industry-specific product and process improvements, and by generating a great deal of knowledge in its own laboratories as well. In July 2017, the International Monetary Fund gave the country's economy "yet another bill of good health" and some advice on steps it might take to maintain this level in the long run. Germany is rich in timber, lignite, potash and salt. Some minor sources of natural gas are being exploited in the state of Lower Saxony. Until reunification, the German Democratic Republic mined for uranium in the Ore Mountains (see also: SAG/SDAG Wismut). Energy in Germany is sourced predominantly by fossil fuels (50%), followed by nuclear power second, then gas, wind, biomass (wood and biofuels), hydro and solar. Germany is the first major industrialized nation to commit to the renewable energy transition called Energiewende. Germany is the leading producer of wind turbines in the world. Renewables now produce over 27% of electricity consumed in Germany. 99 percent of all German companies belong to the German "Mittelstand," small and medium-sized enterprises, which are mostly family-owned. Of the world's 2000 largest publicly listed companies measured by revenue, the Fortune Global 2000, 53 are headquartered in Germany, with the Top 10 being Allianz, Daimler, Volkswagen, Siemens, BMW, Deutsche Telekom, Bayer, BASF, Munich Re and SAP. Germany is the world's top location for trade fairs. Around two thirds of the world's leading trade fairs take place in Germany. The largest annual international trade fairs and congresses are held in several German cities such as Hanover, Frankfurt, Cologne, Leipzig and Düsseldorf. The Industrial Revolution in Germany got underway approximately a century later than in England, France, and Belgium, partly because Germany only became a unified country in 1871. The establishment of the Deutscher Zollverein (German Customs Union) in 1834 and the expansion of railway systems were the main drivers of Germany's industrial development and political union. From 1834, tariff barriers between increasing numbers of the Kleindeutschland German states were eliminated. In 1835 the first German railway linked the Franconian cities of Nuremberg and Fürth - it proved so successful that the decade of the 1840s saw "railway mania" in all the German states. Between 1845 and 1870, 5,000 more miles of rail had been built and in 1850 Germany was building its own locomotives. Over time, other German states joined the customs union and started linking their railroads, which began to connect the corners of Germany together. The growth of free trade and of a rail system across Germany intensified economic development which opened up new markets for local products, created a pool of middle managers,[clarification needed] increased the demand for engineers, architects and skilled machinists, and stimulated investments in coal and iron. Another factor which propelled German industry forward was the unification of the monetary system, made possible in part by political unification. The Deutsche Mark, a new monetary coinage system backed by gold, was introduced[by whom?] in 1871. However, this system did not fully come into use as silver coins retained their value until 1907. The victory of Prussia and her allies over Napoleon III of France in the Franco-Prussian War of 1870-1871 marked the end of French hegemony in Europe and resulted in the proclamation of the German Empire in 1871. The establishment of the empire inherently presented Europe with the reality of a new populous and industrializing polity possessing a considerable, and undeniably increasing, economic and diplomatic presence. The influence of French economic principles produced important institutional reforms in Germany, including the abolition of feudal restrictions on the sale of large landed estates, the reduction of the power of the guilds in the cities, and the introduction of a new, more efficient commercial law. Nonetheless, political decisions about the economy of the empire were still largely controlled by a coalition of "rye and iron", that is the Prussian Junker landowners of the east and the Ruhr heavy industry of the west. Regarding politics and society, between 1881 and 1889 Chancellor Otto von Bismarck promoted laws that provided social insurance and improved working conditions. He instituted the world's first welfare state. Germany was the first to introduce social insurance programs including universal healthcare, compulsory education, sickness insurance, accident insurance, disability insurance, and a retirement pension. Moreover, the government's universal education policy bore fruit with Germany achieving[when?] the highest literacy rate in the world – 99% – education levels that provided the nation with more people good at handling numbers, more engineers, chemists, opticians, skilled workers for its factories, skilled managers, knowledgeable farmers and skilled military personnel. By 1900 Germany surpassed Britain and the United States in steel production. The German economic miracle was also intensified by an unprecedented population growth from 35 million in 1850 to 67 million in 1913. From 1895 to 1907, the number of workers engaged in machine building doubled from half a million to well over a million. Only 40 percent of Germans lived in rural areas by 1910, a drop from 67% at the birth of the Empire. Industry accounted for 60 percent of the gross national product in 1913. The German chemical industry became the most advanced in the world, and by 1914 the country was producing half the world's electrical equipment. The rapid advance to industrial maturity led to a drastic shift in Germany's economic situation - from a rural economy into a major exporter of finished goods. The ratio of finished product to total exports jumped from 38% in 1872 to 63% in 1912. By 1913 Germany had came to dominate all the European markets. By 1914 Germany had become one of the biggest exporters in the world. The Nazis rose to power while unemployment was very high, but achieved full employment later thanks to massive public works programs such as the Reichsbahn, Reichspost and the Reichsautobahn projects. In 1935 rearmament in contravention of the Treaty of Versailles added to the economy. The post 1931 financial crisis economic policies of expansionary fiscal policies (as Germany was off the gold standard) was advised by their non-Nazi Minister of Economics, Hjalmar Schacht, who in 1933 became the president of the central bank. Hjalmar Schacht later abdicated from the post in 1938 and was replaced by Hermann Göring. The trading policies of the Third Reich aimed at self sufficiency but with a lack of raw materials Germany would have to maintain trade links but on bilateral preferences, foreign exchange controls, import quotas and export subsidies under what was called the "New Plan"(Neuer Plan) of 19 September 1934. The "New Plan" was based on trade with less developed countries who would trade raw materials for German industrial goods saving currency. Southern Europe was preferable to Western Europe and North America as there could be no trade blockades. This policy became known as the Grosswirtschaftsraum ("greater economic area") policy. Eventually, the Nazi party developed strong relationships with big business and abolished trade unions in 1933 in order to form the National Labour Service (RAD), German Labour Front (DAF) to set working hours, Beauty of Labour (SDA) which set working conditions and Strength through Joy (KDF) to ensure sports clubs for workers. By the early 1950s the Soviet Union had seized reparations in the form of agricultural and industrial products and demanded further heavy reparation payments. Silesia with the Upper Silesian Coal Basin, and Stettin, a prominent natural port, were lost to Poland. Exports from West Germany exceeded $323 billion in 1988. In the same year, East Germany exported $30.7 billion worth of goods; 65% to other communist states. East Germany had zero unemployment. In 1976 the average annual GDP growth was roughly 5.9%. As of 2013[update], Germany is the third largest exporter and third largest importer in the world, producing the largest trade surplus as a national economy. The German economy practically stagnated in the beginning of the 2000s. The worst growth figures were achieved in 2002 (+1.4%), in 2003 (+1.0%) and in 2005 (+1.4%). Unemployment was also chronically high. Due to these problems, together with Germany's aging population, the welfare system came under considerable strain. This led the government to push through a wide-ranging program of belt-tightening reforms, Agenda 2010, including the labour market reforms known as Hartz I - IV. In the later part of the first decade of 2000 the world economy experienced high growth, from which Germany as a leading exporter also profited. Some credit the Hartz reforms with achieving high growth and declining unemployment but others contend that they resulted in a massive decrease in standards of living, and that its effects are limited and temporary. The nominal GDP of Germany contracted in the second and third quarters of 2008, putting the country in a technical recession following a global and European recession cycle. 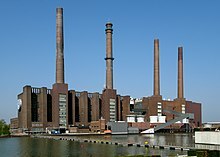 German industrial output dropped to 3.6% in September vis-à-vis August. In January 2009 the German government under Angela Merkel approved a €50 billion ($70 billion) economic stimulus plan to protect several sectors from a downturn and a subsequent rise in unemployment rates. Germany exited the recession in the second and third quarters of 2009, mostly due to rebounding manufacturing orders and exports - primarily from outside the Euro Zone - and relatively steady consumer demand. Germany is a founding member of the EU, the G8 and the G20, and was the world's largest exporter from 2003 to 2008. In 2011 it remained the third largest exporter and third largest importer. Most of the country's exports are in engineering, especially machinery, automobiles, chemical goods and metals. Germany is a leading producer of wind turbines and solar-power technology. Annual trade fairs and congresses are held in cities throughout Germany. 2011 was a record-breaking year for the German economy. German companies exported goods worth over €1 trillion ($1.3 trillion), the highest figure in history. The number of people in work has risen to 41.6 million, the highest recorded figure. Through 2012, Germany's economy continued to be stronger relative to local neighboring nations. As of December 2017, the unemployment rate was at 5.5 percent. As of January 2015[update], the unemployment rate was 4.8 percent. As of December 2014[update], the CPI rate was 0.6 percent. The following table shows the main economic indicators in 1980–2018. Inflation below 2% is in green. Of the world's 500 largest stock-market-listed companies measured by revenue in 2010, the Fortune Global 500, 37 are headquartered in Germany. 30 Germany-based companies are included in the DAX, the German stock market index. Well-known global brands are Mercedes-Benz, BMW, SAP, Siemens, Volkswagen, Adidas, Audi, Allianz, Porsche, Bayer, BASF, Bosch, and Nivea. Germany is recognised for its specialised small and medium enterprises, known as the Mittelstand model. Around 1,000 of these companies are global market leaders in their segment and are labelled hidden champions. From 1991 to 2010, 40,301 mergers and acquisitions with an involvement of German firms with a total known value of 2,422 bil. EUR have been announced. The largest transactions since 1991 are: the acquisition of Mannesmann by Vodafone for 204.8 bil. 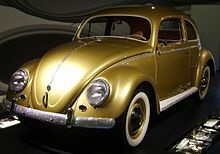 EUR in 1999, the merger of Daimler-Benz with Chrysler to form DaimlerChrysler in 1998 valued at 36.3 bil. EUR. Berlin (Economy of Berlin) developed an international Startup ecosystem and became a leading location for venture capital funded firms in the European Union. Here is a list of the top 10 deals (ranked by value) that include a German company. The Vodafone - Mannesmann deal is still the biggest deal in global history. Germany as a federation is a polycentric country and does not have a single economic center. The stock exchange is located in Frankfurt am Main, the largest Media company (Bertelsmann SE & Co. KGaA) is headquartered in Gütersloh; the largest car manufacturers are in Wolfsburg (Volkswagen), Stuttgart (Mercedes-Benz and Porsche), and Munich (Audi and BMW). The southern states ("Bundesländer"), especially Bayern, Baden-Württemberg and Hessen, are economically stronger than the northern states. One of Germany's traditionally strongest (and at the same time oldest) economic regions is the Ruhr area in the west, between Duisburg and Dortmund. 27 of the country's 100 largest companies are located there. In recent years, however, the area, whose economy is based on natural resources and heavy industry, has seen a substantial rise in unemployment (2010: 8.7%). The economy of Bayern and Baden-Württemberg, the states with the lowest number of unemployed people (2018: 2.7%, 3.1%), on the other hand, is based on high-value products. Important sectors are automobiles, electronics, aerospace and biomedicine, among others. Baden-Württemberg is an industrial center especially for automobile and machine building industry and the home of brands like Mercedes-Benz (Daimler), Porsche and Bosch. The following top 10 list of German billionaires is based on an annual assessment of wealth and assets compiled and published by Forbes magazine on 1 March 2016. Wolfsburg is the city in Germany with the country's highest per capita GDP, at $128,000. The following top 10 list of German cities with the highest per capita GDP is based on a study by the Cologne Institute for Economic Research on 31 July 2013. Germany has a social market economy characterised by a highly qualified labor force, a developed infrastructure, a large capital stock, a low level of corruption, and a high level of innovation. It has the largest national economy in Europe, the fourth largest by nominal GDP in the world, and ranked fifth by GDP (PPP) in 2015. In 2010 agriculture, forestry, and mining accounted for only 0.9% of Germany's gross domestic product (GDP) and employed only 2.4% of the population, down from 4% in 1991. Agriculture is extremely productive, and Germany is able to cover 90% of its nutritional needs with domestic production. Germany is the third largest agricultural producer in the European Union after France and Italy. Germany's principal agricultural products are potatoes, wheat, barley, sugar beets, fruit, and cabbages. Despite the country's high level of industrialization, almost one-third of its territory is covered by forest. The forestry industry provides for about two-thirds of domestic consumption of wood and wood products, so Germany is a net importer of these items. The German soil is relatively poor in raw materials. Only lignite (brown coal) and potash salt (Kalisalz) are available in significant quantities. However, the former GDR's Wismut mining company produced a total of 230,400 tonnes of uranium between 1947 and 1990 and made East Germany the fourth largest producer of uranium ore worldwide (largest in USSR's sphere of control) at the time. Oil, natural gas and other resources are, for the most part, imported from other countries. Potash salt is mined in the center of the country (Niedersachsen, Sachsen-Anhalt and Thüringen). The most important producer is K+S AG (formerly Kali und Salz AG). Germany's bituminous coal deposits were created more than 300 million years ago from swamps which extended from the present-day South England, over the Ruhr area to Poland. Lignite deposits developed in a similar way, but during a later period, about 66 million years ago. Because the wood is not yet completely transformed into coal, brown coal contains less energy than bituminous coal. Lignite is extracted in the extreme western and eastern parts of the country, mainly in Nordrhein-Westfalen, Sachsen and Brandenburg. Considerable amounts are burned in coal plants near to the mining areas, to produce electricity. Transporting lignite over far distances is not economically feasible, therefore the plants are located practically next to the extraction sites. Bituminous coal is mined in Nordrhein-Westfalen and Saarland. Most power plants burning bituminous coal operate on imported material, therefore the plants are located not only near to the mining sites, but throughout the country. Industry and construction accounted for 30.1% of gross domestic product in 2017, and employed 24.2% of the workforce. Germany excels in the production of automobiles, machinery, electrical equipment and chemicals. With the manufacture of 5.2 million vehicles in 2009, Germany was the world's fourth largest producer and largest exporter of automobiles. German automotive companies enjoy an extremely strong position in the so-called premium segment, with a combined world market share of about 90%. Small- to medium-sized manufacturing firms (Mittelstand companies) which specialize in technologically advanced niche products and are often family-owned form a major part of the German economy. It is estimated that about 1500 German companies occupy a top three position in their respective market segment worldwide. In about two thirds of all industry sectors German companies belong to the top three competitors. Germany is the only country among the top five arms exporters that is not a permanent member of the United Nations Security Council. Germany is the seventh most visited country in the world, with a total of 407 million overnights during 2012. This number includes 68.83 million nights by foreign visitors. In 2012, over 30.4 million international tourists arrived in Germany. Berlin has become the third most visited city destination in Europe. Additionally, more than 30% of Germans spend their holiday in their own country, with the biggest share going to Mecklenburg-Vorpommern. Domestic and international travel and tourism combined directly contribute over EUR43.2 billion to German GDP. Including indirect and induced impacts, the industry contributes 4.5% of German GDP and supports 2 million jobs (4.8% of total employment). The largest annual international trade fairs and congresses are held in several German cities such as Hannover, Frankfurt, and Berlin. Germany's "debt clock" (Schuldenuhr) reversed for the first time in 20 years in January 2018. It is now running backwards at €78 per second. In 2000, the red-green coalition under Chancellor Schröder and the German nuclear power industry agreed to phase out all nuclear power plants by 2021. The conservative coalition under Chancellor Merkel reversed this decision in January 2010, electing to keep plants open. The nuclear disaster of the Japanese nuclear plant Fukushima in March 2011 however, changed the political climate fundamentally: Older nuclear plants have been shut down. And a general phase out until 2020 or 2022 is now probable. Renewable energy yet still plays a more modest role in energy consumption, though German solar and windpower industries play a leading role worldwide. In 2009, Germany's total energy consumption (not just electricity) came from the following sources: Oil 34.6%, Natural gas 21.7%, Lignite 11.4%, Bituminous coal 11.1%, Nuclear power 11.0%, Hydro and wind power 1.5%, Others 9.0%. There are 3 major entry points for oil pipelines: in the northeast (the Druzhba pipeline, coming from Gdańsk), west (coming from Rotterdam) and southeast (coming from Nelahozeves). The oil pipelines of Germany do not constitute a proper network, and sometimes only connect two different locations. Major oil refineries are located in or near the following cities: Schwedt, Spergau, Vohburg, Burghausen, Karlsruhe, Cologne, Gelsenkirchen, Lingen, Wilhelmshaven, Hamburg and Heide. Germany's network of natural gas pipelines, on the other hand, is dense and well-connected. Imported pipeline gas comes mostly from Russia, the Netherlands and the United Kingdom. Although gas imports from Russia have been historically reliable, even during the cold war, recent price disputes between Gazprom and the former Soviet states, such as Ukraine, have also affected Germany. As a result, high political importance is placed on the construction of the Nord Stream pipeline, running from Vyborg in Russia along the Baltic sea to Greifswald in Germany. This direct connection avoids third-party transit countries. Germany imports 50% to 75% of its natural gas from Russia. With its central position in Europe, Germany is an important transportation hub. This is reflected in its dense and modern transportation networks. The extensive motorway (Autobahn) network that ranks worldwide third largest in its total length and features a lack of blanket speed limits on the majority of routes. Germany has established a polycentric network of high-speed trains. The InterCityExpress or ICE is the most advanced service category of the Deutsche Bahn and serves major German cities as well as destinations in neighbouring countries. The train maximum speed varies between 200 km/h and 320 km/h (125-200 mph). Connections are offered at either 30-minute, hourly, or two-hourly intervals. German railways are heavily subsidised, receiving €17.0 billion in 2014. 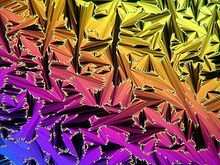 Liquid crystal visualized by a polarizing microscope. Germany is a pioneer research center for nanotechnology and materials engineering. Germany's achievements in sciences have been significant, and research and development efforts form an integral part of the economy. The lead markets of Germany's green technology industry are power generation, sustainable mobility, material efficiency, energy efficiency, waste management and recycling, sustainable water management. With regard to triadic patents Germany is in third place after the US and Japan. With more than 26,500 registrations for patents submitted to the European Patent Office, Germany is the leading European nation. Siemens, Bosch and BASF, with almost 5,000 registrations for patents between them in 2008, are among the Top 5 of more than 35,000 companies registering patents. Together with the US and Japan, with regard to patents for nano, bio and new technologies Germany is one of the world's most active nations. With around one third of triadic patents Germany leads the way worldwide in the field of vehicle emission reduction. According to Winfried Kretschmann, who is premier of the region where Daimler is based, "China dominates the production of solar cells. Tesla is ahead in electric cars and Germany has lost the first round of digitalization to Google, Apple and the like. Whether Germany has a future as an industrial economy will depend on whether we can manage the ecological and digital transformation of our economy". Despite economic prosperity, Germany's biggest threat for future economic development is the nation's declining birthrate which is among the lowest in the world. This is prevalent in parts of society with higher education are responsible for low fertility rates. As a result, the numbers of workers will decrease and the government spending needed to support pensioners and healthcare will increase if the trend is not reversed. ^ "Germany Government Debt: % of GDP". CEIC Data - UK. 2018. Retrieved 4 August 2018. ^ "Scope affirms Germany's credit rating of AAA with Stable Outlook". Retrieved 2 November 2018. ^ "Germany Foreign Exchange Reserves". CEIC Data - UK. 2018. Retrieved 5 August 2018. ^ "Statistics on Mergers & Acquisitions (M&A) - M&A Courses | Company Valuation Courses | Mergers & Acquisitions Courses". Imaa-institute.org. Archived from the original on 6 January 2012. Retrieved 13 August 2014. ^ "Wind Power". Archived from the original on 10 December 2006. Retrieved 27 March 2011. CS1 maint: BOT: original-url status unknown (link) Federal Ministry of Economics and Technology (Germany) Retrieved 30 November 2006. ^ "Geschäftsbericht 2006 der Deutschen Bahn AG". Archived from the original on 9 August 2007. Retrieved 27 March 2011. , Deutsche Bahn. Retrieved 19 October 2007.